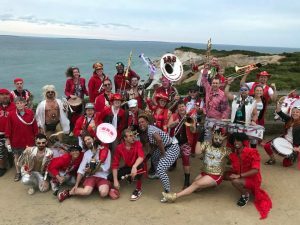 The Extraordinary Rendition Band is an activist street band from Providence interrupting your regularly scheduled life with spontaneous moments of raucous musical joy. 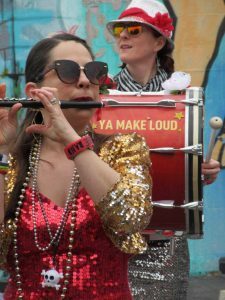 Uplifting everyone within earshot, The ERB plays free, guerilla-style, and in the streets. The ERB believes that the power of music may be more effective and powerful than weapons, arguments, and war! 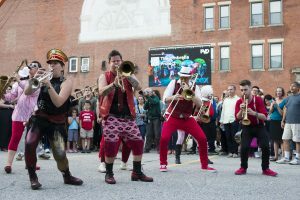 A PVDFest with ERB will be full of surprises and fabulous, not-to-be-missed collaborations!